If you want your LEDs to light up, you’re going to need a power supply! These come in lots of shapes and sizes and you need to figure out what you are going to need for your project. Although overkill (in wattage or amperage) mostly isn’t a problem, an insufficient power supply can lead to undesirable situations. Let’s go through a few things we need to figure out before purchasing a power supply. Depending on what kind of LED you are working with, you are going to need a certain voltage. Next to getting the correct voltage power supply, you need to figure out how much wattage your project is going to use. For any power supply, try not to exceed a sustained usage of over 80% of the power supplies rated current. That will make sure everything stays nice within tolerances and doesn’t overheat or do something worse. Say you bought a 60 LEDs/m analog RGB strip and it uses 12w per meter. 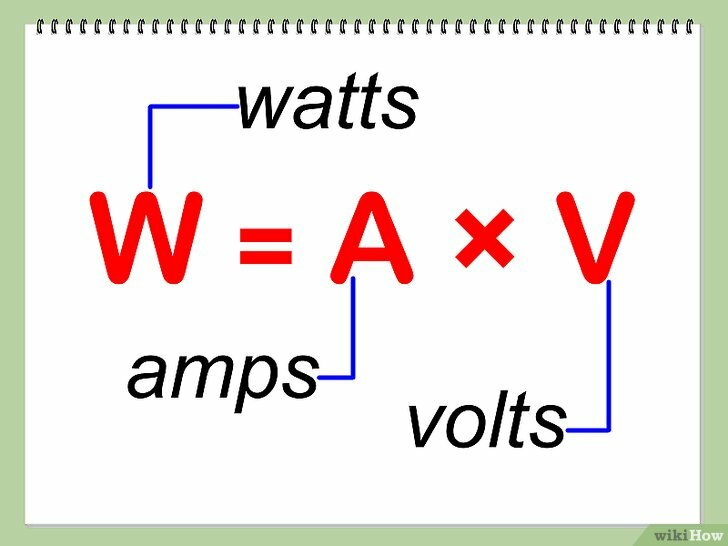 This means that the total strip will consume a maximum power of 12w * 5m = 60w. If you are hooking up one of these strips you need to get at least a 75w or better a 100w power supply. 60w at 12v = 5 Amps or 60w at 24v = 2,5 Amps. If you have a 120 LEDs/m warm white LED strip that uses 18w per meter and you again have 5 meters that equates to 90 watts in total. Say you want to hook up two of these strips from the same power supply, that means you might use up to 180w of power. So that means you need at least 216w which most likely comes down to a 250w power supply. 250w at 12v = 21 Amps and 250w at 24v is about 10 Amps. Addressable LED strip most often are 5v. Let’s say you have a 96 LEDs/m addressable RGB strip, this strip is 4m long. It depends very much on the type of LED used but for instance a strip with APA102C LEDs will use a max of 3*20mA per LED. At 5v that means each LED can draw a maximum of 0,3w. If we have 96 LEDs/m that’s 28,8w per meter. Using 4 meters that means it can use up to 115,2 watt, in Amps, at 5v that is 23 Amps. For this I would recommend getting at least a 30A power supply so that it can handle the full load continuously! Basically the calculations are the same as shown above. Figure out how much a module or light uses, multiply that by how many you are going to use. Then add up 20% above the maximum that figure and buy at power supply at that rating or higher. Generally a power supply for LEDs will come in one of three forms. Also make sure to read the next header in this article about choosing between a Chinese or Mean Well power supply. These are mostly suited for loads up to 20 to 24 watts watts, depending on the LEDs/m and strip this can mostly power a 1 to 2 meter strip. You see power bricks most often with laptops as a power supply. They can deliver substantially more power then a wall adapter but are also a bit bulkier. 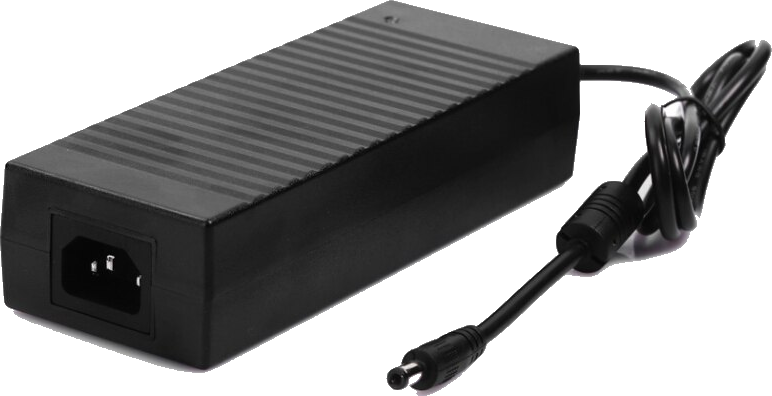 Power bricks can be found mostly up to 120w but can go as high as 150w or even 200w of output! For the super high wattage versions sometimes the brick may have a little fan inside of it to cool it. A frame power supply is a power supply in its rawest form. They are the cheapest and deliver the highest wattages but are less suited for public areas because of the open nature. If you need anything above 100w though, do consider them because they can handle heat a lot better than the above brick style power supply and thus have the highest life span. Depending on the voltage and Amperage needed it can sometimes be interesting to buy a computer power supply! Depending on the type they are most often good for delivering 12v and sometimes also 5v! Often these can be cheap and low noise for the power output because they are designed to work with big quiet fans. Again, try not to exceed more than 80% of the rated power for continuous loads! Also when using a high wattage PC power supply using fuses is important, check out my “do you need to use fuses” article! A lot of debate has surrounded Chinese power supplies as long as I can remember. 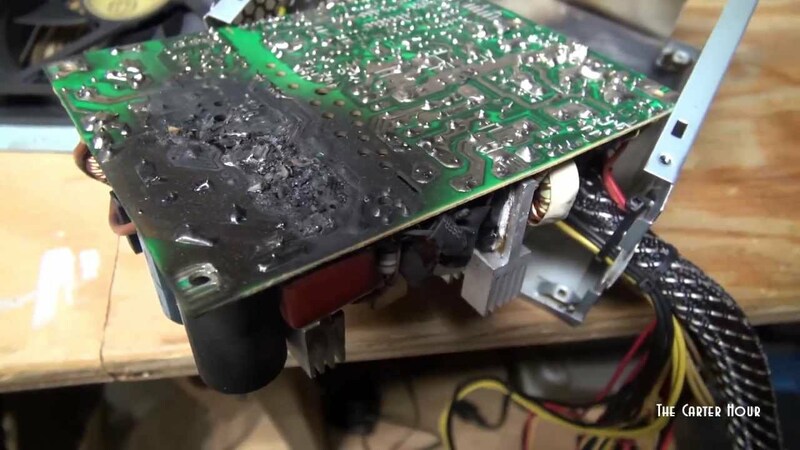 A power supply produced in China isn’t inherently bad there is just a lot of parties who sell cheap and re-used internals with sloppy soldering and sometimes even with dangerous circuitry inside, those are the types to watch out for. Most often these are inside of the wall adapter or power brick style power supplies, they have a harder time hiding what they cheated with in the frame type power supplies! This is why I prefer to using the frame type power supplies when anything gets above 75w or so. 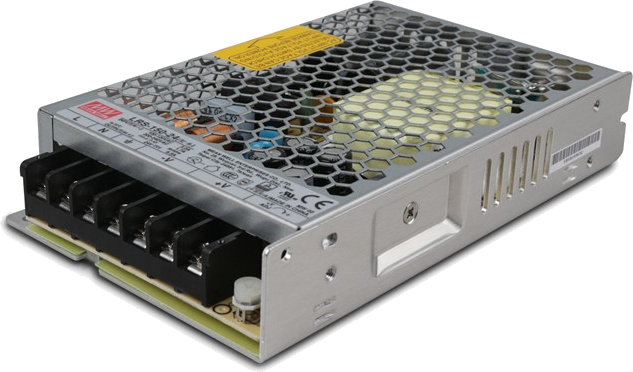 Frame type power supplies are also much better is dissipating heat which is why they are cheaper and deliver a lot more power. In the above shopping piece I tried to focus on three brands. Mean Well is a respected power supply producer and if you want (good) certainty the power supply isn’t going to burn your house down and uses over voltage, temperature and other protection, get a Mean Well and pay the premium for that, they are excellent power supplies! 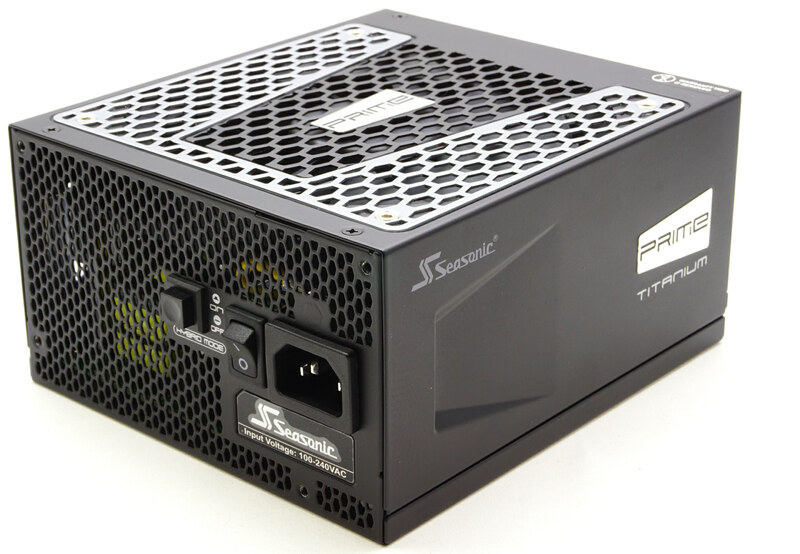 A little step down we have the Sanpu power supplies. These also come with all the protections listed above but is a Chinese brand. Still a Chinese brand that puts their name on their products often guarantees a better quality product then a no name version. 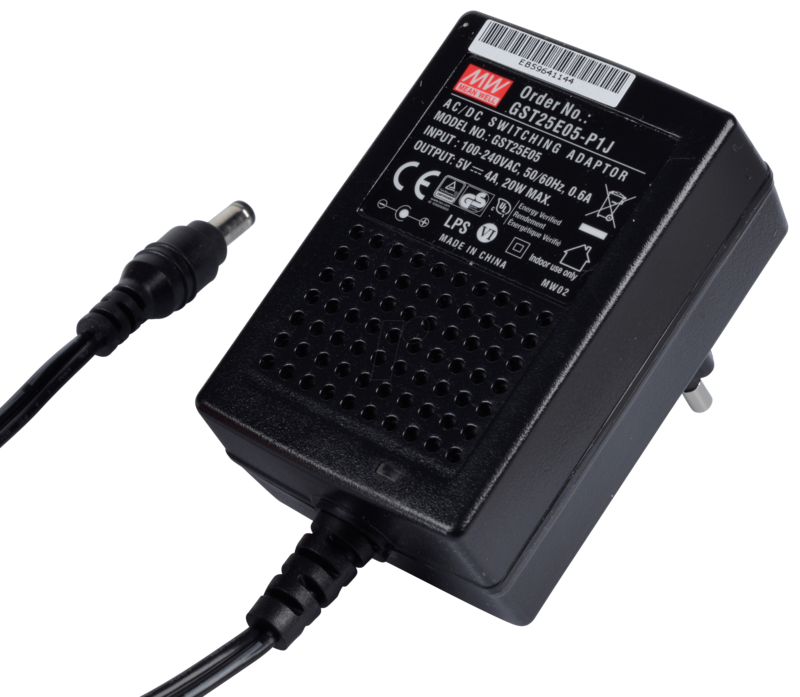 Watch out with these because some do not work at 110v and also they give sustained load ratings below what the power supply is rated for! Still, nothing I don’t already recommend with not exceeding 80% continuous load. Simple power supplies are what I deem acceptable, often I go by comments other users have left. Much cheaper then the two brand options but I’m not sure I would use them 24Hr in an unsupervised situation. Myself I use a mix of the above options. I do have “simple” versions which I use for testing and some smaller installations (using a 120w power supply with 50w of load isn’t going to give it a lot of stress) or where I have manual on/off switches. My main lighting is all done using Mean Well power supplies, these are spread around my house in several unsupervised locations and I haven’t had a single issue with them. If you want to be sure, pay the premium for them. During my QuinLED-OG time I did a collaboration with Mux and he also made a video about some Chinese power supplies I sent to him. Check out this blog post which has all the details. All my testing with QuinLED was done using several different Chinese power supplies (brick and frame types) and all was working great. So, for my house installation I ordered some quality Mean Well power supplies, but because of different components used, these actually produce noise while PWM dimming is used! As far as I have been able to piece together is that because the Mean Well power supplies probably use high quality ceramic capacitors, when using PWM these can start to vibrate ever so slightly effectively becoming a Pieze speaker! I have tried solutions for this in past such as adding decoupling capacitors and such but nothing has really helped. This is another reason why the new QuinLED boards use a PWM frequency well above what a human can hear, hoping this will also reduce or remove this noise all together. More tests to be done in this regard, but for now it looks promising! With that said though if possible try to mount these separated from living spaces.